For the last few summers, my girls have enjoyed hosting book clubs with their friends. This summer, only Sophia (age 9) managed to have one, and it was so much fun! 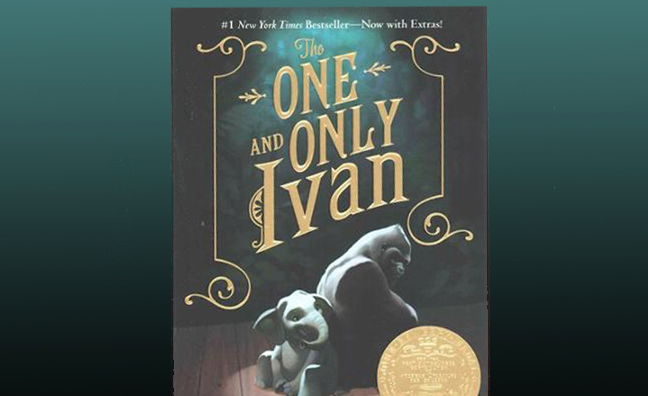 She and I read The One and Only Ivan together earlier this summer, and we both loved it so much she decided to have it be her book for book club before we were even finished with it. I have my children play a major role in the planning and executing of all parts of the book clubs, so Sophia and I sat down together and talked through ideas. We went online to look at Pinterest for crafts and activities involving gorillas or elephants and she made all of the final plans. I only helped her to do the computer stuff and was the financial backer. Normally, we try to have invitations ready to pass out on the last day of school, but I did not have it together this year. Instead, we passed them out in early July and set the book club date for early August, giving the girls invited about a month to read the book. 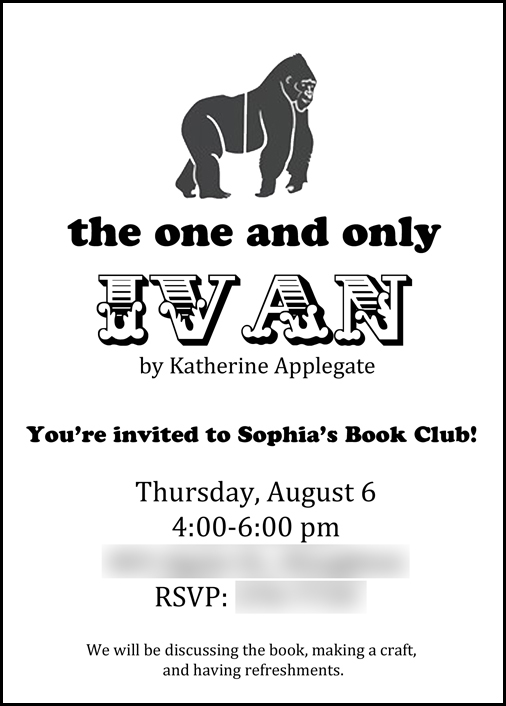 I printed up some invitations on the computer, using the fonts that Sophia picked. I printed them onto colored card stock and Sophia decorated them with glitter glue (sorry, I still don't actually have it together enough to have a photo of a decorated invitation!). Sophia loved the pig and spider cupcakes we made for her Charlotte's Web book club last year so much, that she really wanted to try her hand at gorilla cupcakes. 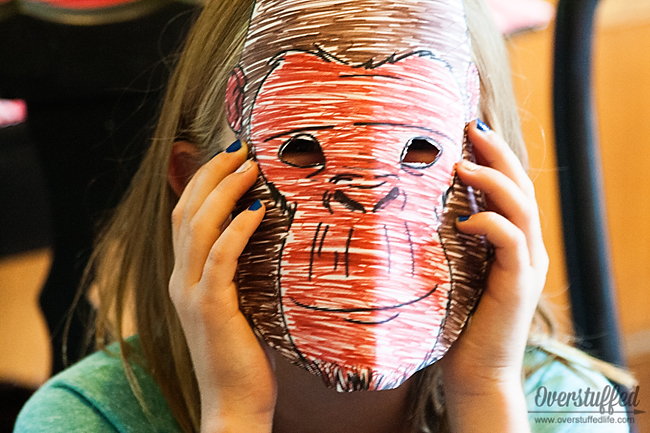 We couldn't find any good ones online, but we found some monkey ones that we were able to alter a little bit. They turned out a little funny, but were still super cute! We joked that we couldn't decide if they were cows or gorillas, but the only thing that mattered was that they tasted good! 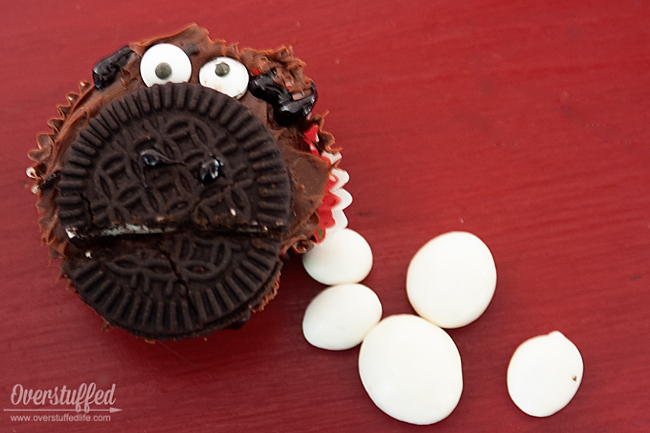 We used gluten-free oreo cookies for his face, black frosting for his nostrils and ears, and edible eyeballs for his eyes. Sophia and Chloe had so much fun decorating the cupcakes together! Sophia was all about the activities and crafts! 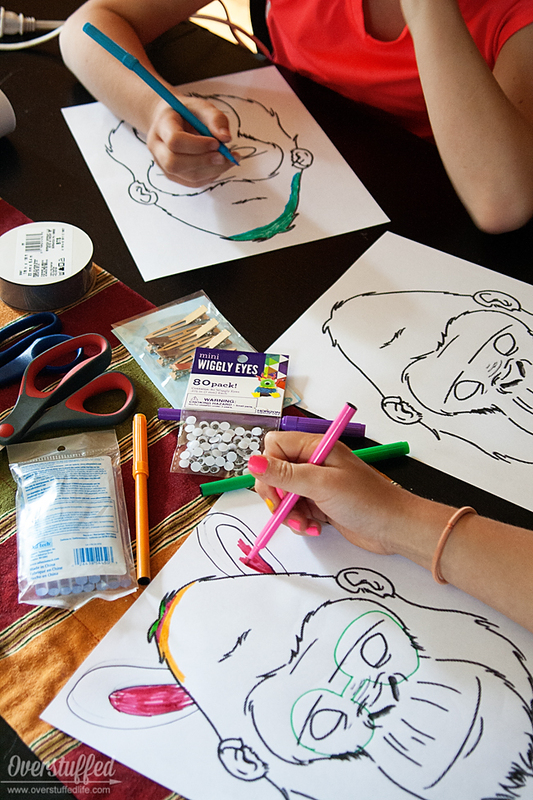 First, the girls colored and cut out gorilla masks. They glued them on a popsicle stick, and I had a bunch of very creative gorillas in my house for a while there! 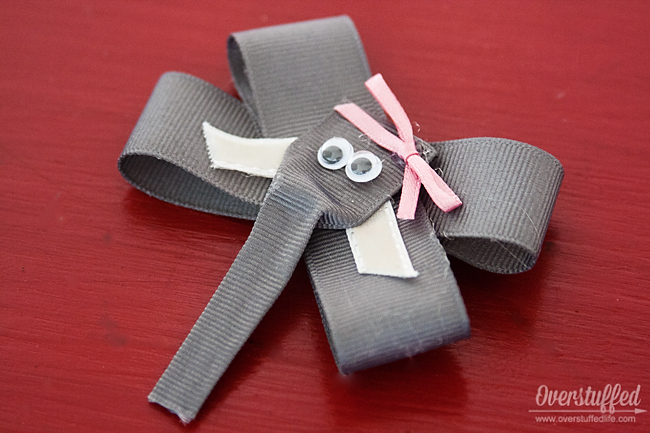 After the masks were finished, we moved on to making Stella the Elephant hair bows. All of these girls were 8 and 9 years old, so I was fine with having them use the glue gun under my supervision. I went through each step of making the elephant bows with them and they took turns with the glue gun doing each step themselves. They ended up with some super adorable hair bows that they made all by themselves! They were all very proud of their work! I do not have step-by-step instructions, I just looked at a bow Sophia found on Pinterest and copied it. It was actually very easy to do. 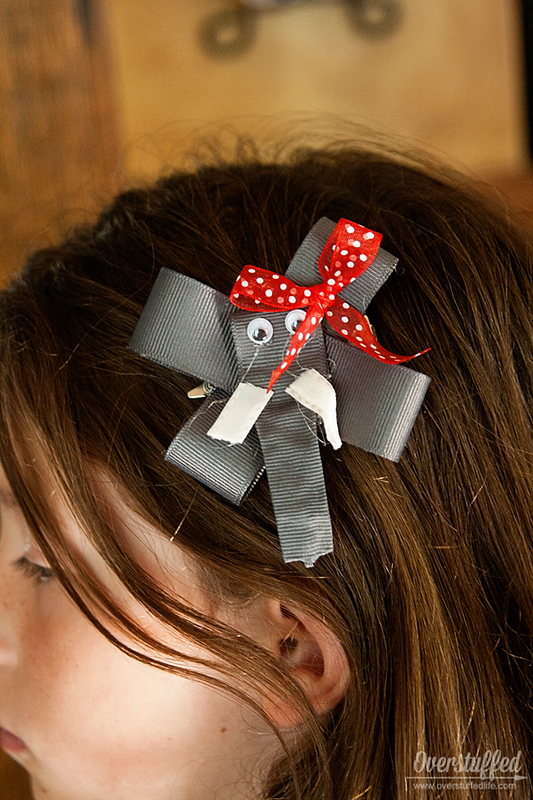 We glued the finished bows onto hair clips, and each girl wore her Stella the Elephant bow home proudly. 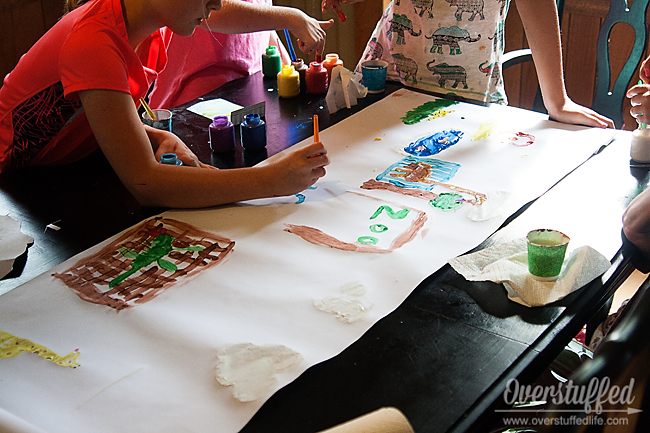 Our final activity was to fingerpaint a zoo, just like Ivan did. I had paintbrushes available for any girl who didn't want to use her fingers. They had a lot of fun together deciding who would paint which animals and the final product was awesome! The back of our copy of The One and Only Ivan had some great discussion questions in it. I used them as a guide for the questions because these girls were still a little young for the really in depth questions that were asked. Sophia didn't want to lead the discussion herself, so I did it. Some of the guests are always more willing to talk about the book than others, so just go with the flow. I always try to make sure I ask questions like "Who was your favorite character?" and "What was your favorite part of the book?" because they are not intimidating. It's always fun to see the great things the kids learn from reading whichever book we are discussing. If you haven't read this book yet, I highly recommend that you do! So many great lessons to be learned and conversations to be had! 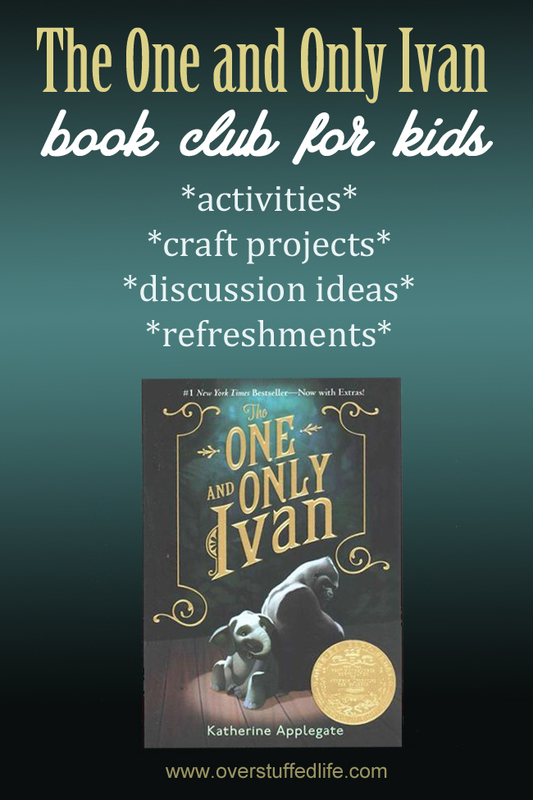 And lots of opportunity for a really fun book club, too!